Neil Dahlstrom will be discussing the 20th century tractor industry from the perspective of John Deere. The 2018 “Gathering of the Green” will be held between March 21 and 24 in Davenport, Iowa, and registration is now open for the event. The event will feature educational and historical workshops, led by industry professionals and Deere leaders. Neil Dahlstrom, manager of Corporate Archives & History, and Graham Thompson, director of Global Tractor Portfolio Development and Strategic Growth Planning, will both be on hand to speak to attendees. Dahlstrom will talk on Thursday evening, while Thompson will serve as the gathering’s keynote speaker on Saturday, March 24. On Thursday, Dahlstrom will host a session in which he will discuss the early 20th century tractor industry from the perspective of John Deere. In addition, he will be sharing information and history on the John Deere All-Wheel Drive Tractor. 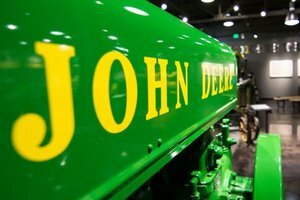 On Saturday, Thompson will base his discussion on the 100-year anniversary of John Deere tractors. He will also focus on key shifts in the agricultural industry, as well as how Deere’s core values will remain foundational to the company as it continues to evolve. The “Gathering of the Green” typically attracts attendees from across the U.S., Canada, Australia, England and other countries around the world. This year’s theme is “Legend, Made Legacy.” The lineup of events includes restoration workshops, tractor collections, tours, and dozens of vendors.